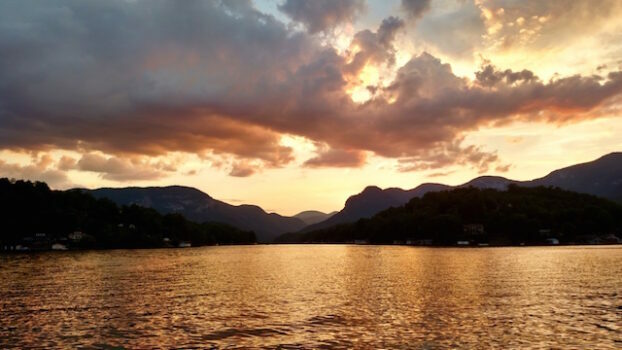 Stay connected to the community and read about the latest local area news for Lake Lure, North Carolina and neighboring towns within the Hickory Nut Gorge -- Lake Lure, NC, Chimney Rock, NC, Bat Cave, Gerton and Bill's Creek. Keep abreast of what's happening where you live, work and play. 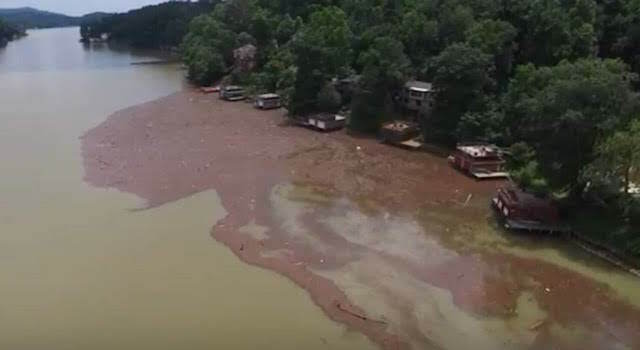 The following information represents the latest helpful updates we have concerning the response to Tropical Storm Alberto and the week ahead. KidSenses’ electrifying new Zap Theatre exhibit showcases a Musical Bi-Polar Tesla Coil that generates dramatic lightning bolts which pulsate in harmony to music. Only a handful of museums have this and you need to see and hear it to believe it! Chimney Rock State Park is excited to announce the opening of their latest feature- Crevice Pass. 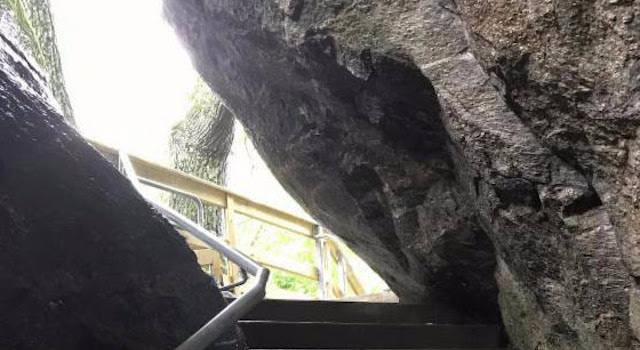 This new access allows visitors to make their way through a narrow opening between two massive rocks to a landing along the Outcroppings trail. 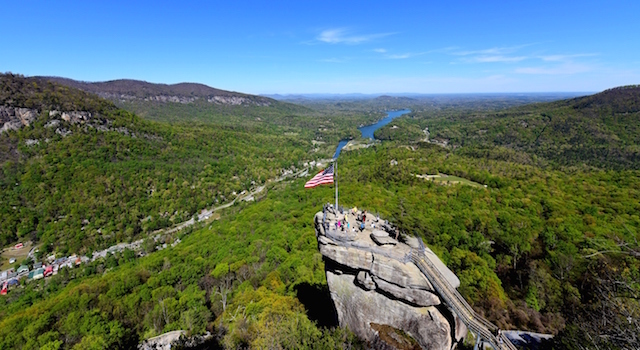 Chimney Rock at Chimney Rock State Park will celebrate a milestone on Sunday, May 21– the Park’s 10th Anniversary as a State Park. 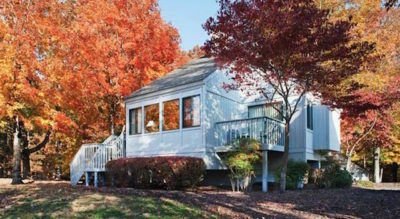 The Park will collect canned items for Hickory Nut Gorge Outreach. Enjoy a hike, cake, music and more. We Have Much to Be Thankful For Today and Always! As a community, we came together and we learned that we are stronger than anything that can happen to us. We shared our homes, we opened our hearts, we helped our friends, neighbors, and family … and we gave of ourselves. 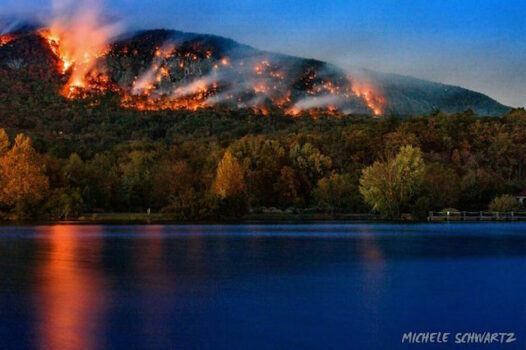 Useful fire-related resource links and critical contact information relating to the Party Rock Fire that began November 5, 2016 in Lake Lure, NC.